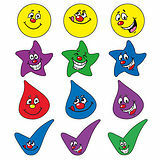 Reward your pupils hard work and behaviour with these colourful Mixed expression stickers. 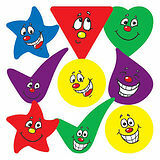 Children love these fun expression stickers. 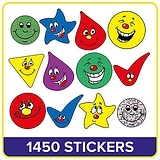 These fun and bright stickers will make your pupils smile and are generic so that they can be used for all topics and situations.